Leather seats are a beautiful upgrade to any vehicle's interior. However, they can get extremely hot when parked under the sun for a long period of time. This issue can easily be solved DroneMobile Remote Start features. To enjoy this feature, set your desired temperature and air-conditioning settings before you exit your vehicle. When you are ready to get back on the road, press the "Remote Start" button from the DroneMobile app. Your vehicle's engine will start, activating your air-conditioning system and cooling down your ride. Did You Know? DroneMobile now works on Amazon Alexa! 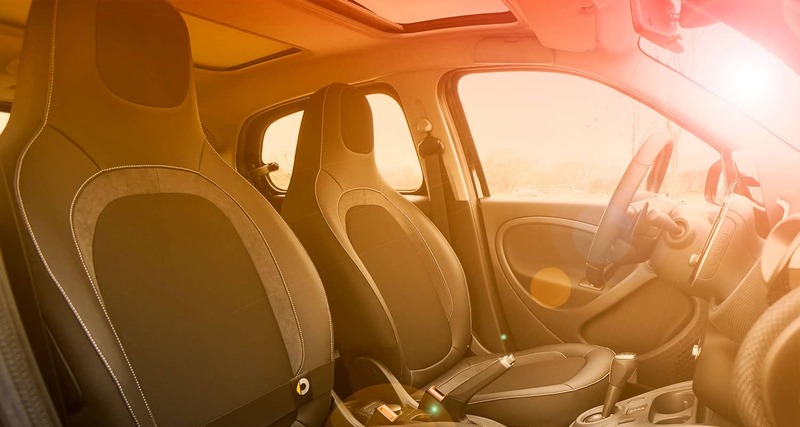 Remember: the cabin of your vehicle can typically feel 20-30 degrees hotter than the temperature outside due to air-pressure and poor ventilation. Make sure you're not driving in an oven by remote starting your vehicle with DroneMobile (from virtually anywhere!). Another feature you can add to your DroneMobile system this summer are Auxiliary Functions, which can be connected to your vehicle's windows. Using Auxiliary Functions, you'll look pretty cool rolling down your windows from your DroneMobile app. Make sure to consult with your original installer for proper connections and capabilities. Be sure to check back for more exciting news and more creative tips on using DroneMobile! Stay cool my friends!